How often does your selection change? Daily! Our hard working volunteers are constantly sorting through donations and putting out new items. You can visit as often as you’d like and always find something different. We are located in the upper floor of the office building at 222 Grand Avenue West, South St. Paul, MN 55075. Is the Clothes Closet open to the public? What is the Clothes Closet? 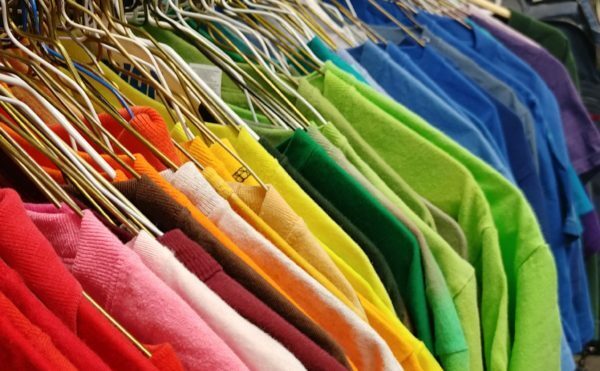 The Neighbors Clothes Closet is a non-profit thrift store that offers carefully selected second-hand clothing in one-of-a-kind styles for the whole family. We also have exciting finds for your home at prices that will leave you smiling. Donations are both provided to clients and sold to the public and the money raised is used to support Neighbors’ programs. Do you have a place to try on clothing? Fitting rooms are available so you can try before you buy. Where can I bring donations? We gladly accept gently used clothing, house wares, shoes, accessories, jewelry, books, art, and anything else that is useable and saleable. All donations are tax-deductible. Simply ring the bell at the Clothes Closet drop off door during store hours and one of our friendly volunteers will collect your donation and provide you with a receipt. Are there items that you won’t accept?